Why use a Security Token? Security Tokens and Software Tokens serve as an additional layer of security for your Square Enix Account, by introducing a requirement to enter a one-time password to access your account. Please see below for further information regarding this service, as well as steps to resolve some potential issues you may encounter. How do I use a Software Token? A One-Time Password can be obtained by opening the Software Token app and clicking the “Show One-Time Password” button. Please note that the One-Time Password will become invalid after 60 seconds. If you wish to log into the PlayOnline Viewer after registering the Software Token, please enable the One-Time Password via “Settings” in "Member List". Next, enter the appropriate One-Time Password when logging in once the One-Time Password is enabled. If you wish to log into the Square Enix Account Management System after registering the Software Token, simply enter the One-Time Password in the “One-Time Password” field. To register a Software Token, log in to the Square Enix Account Management System and select “One-Time Password” under “Service and Options”. Select “Adjust Software Token (Smartphone application) settings” and follow the on-screen instructions. Please note that the Software Token requires iOS 7.1 / Android 3 or later. Using it on older versions may work but is not recommended. Please note that you cannot use a Security Token and Software Token simultaneously. 1. 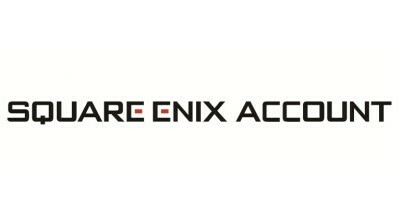 Log into the Square Enix Account Management System using your Square Enix ID and password. The One-Time Password will no longer be required after removing the Software Token. If you have added a Software Token to your Square Enix account and cannot access the app anymore for any reason, please go to the emergency removal page to remove the Software Token from your account. Should you no longer have your Emergency Removal Password, please contact us through this form. I accidentally deleted the Software Token app. What should I do? I'm unable to log into my Square Enix account because I lost my phone. What should I do? If you have added a Software Token to your Square Enix account and cannot access the app anymore for any reason, please go to the emergency removal page to remove the Software Token from your account. Should you no longer have your Emergency Removal Password, please contact us through this form. The Emergency Removal Password allows you to forcibly remove the Software Token app from your account in situations where you cannot log in with a One-Time Password, e.g. if your smartphone is lost or stolen. Make sure to note down your Emergency Removal Password and store it in a safe place. I lost my Emergency Removal Password. The Emergency Removal Password will be displayed on the Square Enix Account Management System main page after logging in. If you are unable to login with a One-Time Password (e.g. your smartphone is lost or stolen), you won't be able to see your Emergency Removal Password and will need to contact our Support Centre through this form. Note: The actual account holder must contact our Support Centre. How do I use a security token? To use a security token, it has to first be registered online. Only one user can use a single Security Token. A six digit number password will appear on the security token screen once the button is pressed.This password changes after 30 seconds. Please enter the password within 30 seconds. When logging into the PlayOnline Viewer, please make sure you have selected to use the One Time Password on the Member Settings Screen under Member List. Enter the displayed password in the One Time Password field. When logging into the Square Enix Account, please enter the One Time Password on the Square Enix Account Management System when prompted. You can purchase a Square Enix Security Token from the Square Enix Account Management System. To purchase a Square Enix Security Token using this method, first, log into the Square Enix Account Management System. Then, go to "One Time Password" under "Services and Options", select "Adjust Security Token (key ring type) settings" and choose "Purchase Square Enix Security Token". 2. Select "One-Time Password" under "Services/Options"
3. Click on "Adjust Security Token (key ring type) settings"
After removing the Security Token, you will no longer be required to enter a one-time password when you log in. Please note that after removing a Security Token, you will not be able to use it again. If you wish to use a Security Token in the future, you will need to purchase a new one. If you play FINAL FANTASY XI and have a Mog Satchel because of the Security Token, it will no longer be available in the game once you remove the Security Token. In order to switch from a Security Token (key ring type) to a Software Token, you must first remove your Security Token, then register the Software Token. Please follow the steps detailed in “I would like to remove the Security Token from my account.” to remove your Security Token. I have lost my Security Token. If you have linked a Security Token to your account, and lost your Security Token, please contact us through this form.